iDJ Live is the easiest way to become a DJ with your iPod touch, iPhone or iPad. This iOS-DJ controller is perfect for music lovers who have never tried DJing before. 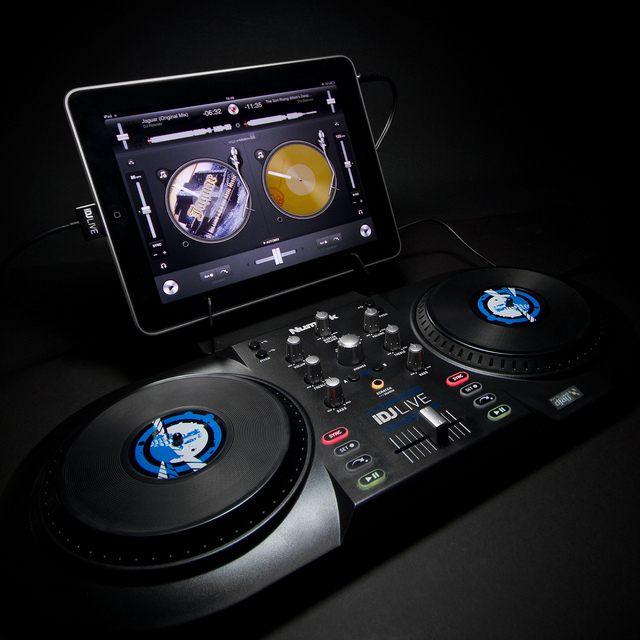 The iDJ Live system harnesses the processing power of your iPad, iPod or iPhone and enables you to DJ parties and using the music that is already on your iPod via Algoriddim’s djay for iPad app and other Core MIDI-enabled apps. DJ parties of all sizes. Compatiable with all iPads, iPods, and iPhones.